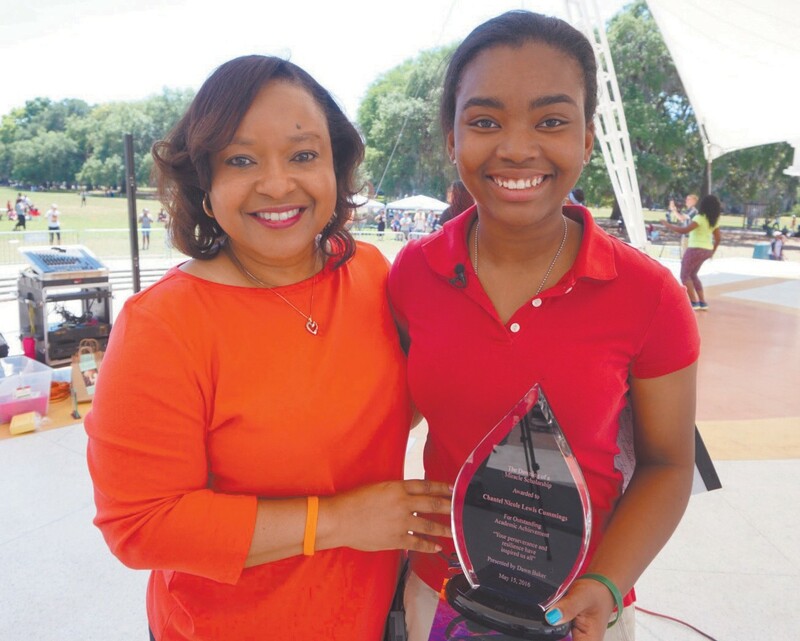 In front of a large crowd in Forsyth Park on Sunday, May 15, 2016, Dawn Baker surprised Chantel Nicole Lewis Cummings by awarding her the 2016 “Dawning of a Miracle Scholarship.” The Jenkins High School graduating senior knew she was a finalist for the annual $1,000 scholarship, but had no idea that she would receive the scholarship on that day. “I just can’t believe it. I thought Mrs. Baker invited all of the finalists today. I had no idea that I was the only one. I am so excited and grateful. It’s a great help. It will go toward my room and board and books. I don’t have to really worry about working and college. So it will be really good,” said Chantel Cummings.